Snow on the beach. Masons Bay, Stewart Island. 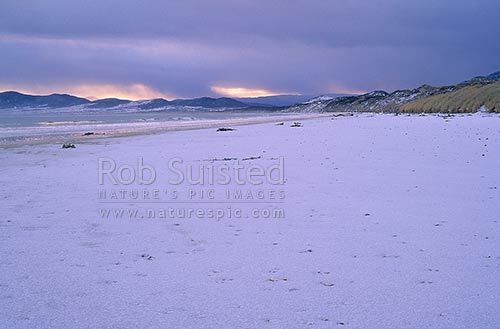 Mid winter, Stewart Island, Stewart Island District, Southland Region, New Zealand (NZ), stock photo.